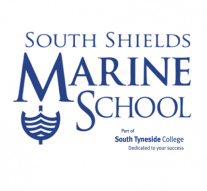 Home / Chef Rants / Featured Article / Food Hygiene / Galley News / Ship’s Cook Certificate / Tips & Advice / Training & Education / What's New / Yacht Chef News / Yacht Industry News / SHIPS COOK CERTIFICATE: SOUTH SHIELDS COLLEGE? No Comments on SHIPS COOK CERTIFICATE: SOUTH SHIELDS COLLEGE? As with a coin there are two sides and the same goes for the ship’s cook certificate: you can either pay Secrets de Cuisine (Bluewater) more money and do it in Antibes in France or you can go the route I did and do it in the UK up north at South Tyneside College. So what made me decide to do it at Tyneside you are probably all wondering? There isn’t much difference in price and the Tyneside one is 10 days so a few days longer. The reason was I found out and did my research to what the ship’s cook certificate was and what it was all about. I can tell you now it is not about being assessed on your macaron skills or making puff Pastry from scratch or even Marpol regulations. It is about cooking healthy nutritious food for crew in a clean and safe working environment, taking into account dietary requirements and that is it. Having worked in Michelin Star restaurants myself first as a pastry chef I didn’t feel the need to pay someone to assess me on something that is completely irrelevant and with such a low pass rate compared to the high pass rate that Tyneside has. The thing is fellow chefs this ship’s cook certificate is nothing new and Tyneside College have been doing them further back than 1981. The course is at the Marine College set out by the M.C.A. Now like me if you decide to do the Tyneside one then I have outlined below what you can expect. It is a 10 day course and you are not assessed as soon as you get there. The first morning is a sit down with a cup of tea and biscuits and then you are told what will be involved, you do not need to learn anything before hand. So over the course of the next 5 days you will do a walkthrough of a practical test, which isn’t counted and then the following day you will be given a practical test following a menu they have set out. Now here is what they are looking for… can you produce it on time, is it tasty, is there enough, are you working cleanly and efficiently and finely presentation. There is a pastry element as well which is more about cakes, tea breads and breads, things you would actually cook for crew. During the course you will also re-do or if you haven’t done it you will do your level 2 food hygiene. In addition to this you will do a computer test on allergies as they deem this very important. You will also have some dishes that you need to say what you would do to make them healthier and then finally you will do some work on costing. Then at the end of the course you will sit a multiple choice exam based on everything and then hey presto you will be rewarded with your ship’s cook certificate, which then needs to be sent off to the MCA to be endorsed. 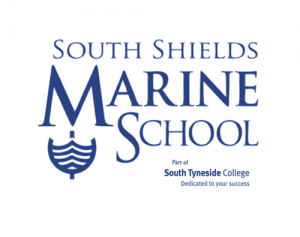 The Tyneside College is a Marine College and is not a team of ex yacht chefs assessing you. It is assessed, by college catering lecturers. The course is set out by the M.C.A and it is my understanding the course by Secrets de Cuisine (Bluewater) is endorsed by the MCA. The downside to this course is its longer and further away if you are in Europe however they have an excellent pass rate and if like me you didn’t want to or feel the need to do it in the first place it’s 10 days of your life then its over. There is nothing to fear with this one from the stories I’ve heard of the other one it seems like a completely different course. It is worth doing I got two high paid temp gigs because I had the ship’s cook certificate. One boat one chef wanted to go on leave but the boat was not allowed to leave without someone onboard having such certificate. « Previous Article Ships Cook Certificate and Isle of Man? Update! Next Article » Medical insurance cover on yachts? Don't get caught out!